Was the election emotional for you too? I live on hope. So every election I try for the best, work hard, imagine victory, celebrate when “we win,” and mope around when “we lose.” But I’m looking forward to talking with you about the election that was, so that you and I can learn important lessons from it. As I near 50 years of age, I am taking more stock of life, of what God desires for people, and what people desire for themselves. And it’s become clear to me that people do what they know, and don’t do what they don’t know. And it’s a fact that people trust people they know, and don’t trust people they don’t know. So what you know and who you know is key to your behavior. So, from the ashes of the election, I challenge you to renew your hunger for knowledge. Because the power of knowledge, mixed with Godly inspiration and humility, is a fruitful force! 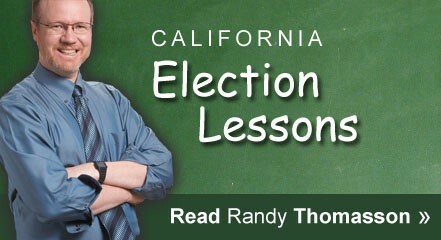 What we can learn from the just-concluded California election? 1. The “Republican wave” did not reach California. While Republicans took the U.S. Senate and increased their U.S. House membership and governors, this so-called “Republican wave” was stopped cold in California. No excitement (nor moral values) at the top of the statewide ticket and no big ballot measures meant that average voters weren’t motivated, and many didn’t vote. However, because California has the largest and most powerful unions of any state, the Democrat-union machine worked hardest and “held” all their statewide offices. The biggest get-out-the-vote factor for conservatives and Republicans was actually not any motivator, but math. With general voter disenchantment in California and a record low turnout of registered voters this year, those right-thinking and right-leaning voters who cast their ballots actually had more influence at the polls. If only more pro-family people cared to vote! But keep reading, because you and I can and should inspire more people to care. 2. The Democrat-union machine is a force to be reckoned with. The Bible tells believers “your adversary the devil walks about like a roaring lion, seeking whom he may devour” (1 Peter 5:8). Likewise, the ruling Democrat politicians and their liberal allies, fueled by union money and taxpayer funds, will gobble up, take, and hold territory — unless a stronger force rises up. 3. Light dispels darkness. Given that the average person is discouraged by government and doesn’t vote, this is an opportunity for numerical minorities to win victories. If you feel small or ineffective or perhaps even like a loser, consider the minority groups of the Sadducees in the Gospels or homosexual activists today – both small in number but mighty in power. If you feel small, think big and how to grow your impact. The fact that light dispels darkness is a truism both physically and spiritually. We just need more light! So put on love and reject fear and shine the light all you can. The Church is the problem and the solution. It used to be that the Church founded by Jesus Christ, God in the flesh, was the solution. Christianity was first persecuted by Rome, but then eventually took over Rome because Christians displayed God’s purpose, justice, love, and hope to the world. Fast forward to the 1700’s, which several church historians view as the high point of Christian influence in Western Civilization. Christians founded universities, hospitals, schools, charities, companies – and good government, giving Americans a magnificent inheritance. Now more than ever the people are responsible for the character of their Congress. If that body be ignorant, reckless, and corrupt, it is because the people tolerate ignorance, recklessness, and corruption. If it be intelligent, brave, and pure, it is because the people demand these high qualities to represent them in the national legislature. . . . [I]f the next centennial does not find us a great nation . . . it will be because those who represent the enterprise, the culture, and the morality of the nation do not aid in controlling the political forces. Again, look at history. There have been up to four “Great Awakenings” in America, which were periods of Christian revival, faith in action, and holy reform: Historians mark them as First (c. 1731–1755), Second (c. 1790–1840), Third (c. 1850–1900), and Fourth (c. 1960–1980). Do you agree with me that it’s time for another “Great Awakening” — where people of faith recognize that faith doesn’t mean non-action, but action; that the standard of truth for real Christians is the word of God, not feelings; that God’s word, not ourselves, defines morality; that fear of God must replace fear of man; that courage must overcome cowardice; and that love for others must extinguish selfishness? Indeed, there is an urgent need for radical reformation of the Church. For how can we have moral government unless the majority of voters are moral? And how we can have good government unless the majority of voters know the difference between right and wrong? I visited individually each and every church in my area in 1990. It took two of us together one year. Out of 222 “churches” only 70 were actually “pro-life” or other family, Biblical thinkers or values! These are the churches I have remained in contact with. In 1990, they would be open to either a speaker and informative meeting or printed voters guidelines etc. Today it is almost unbelievable and unbearable to deal with them and any election day issues! Do you grasp what this means? This unique poll of churches in Modesto, California means perhaps today’s “Bible-based” churches should stop calling themselves Jesus Christ’s CHURCH because they are hiding His light instead of reflecting and shining it powerfully in every area of life and our land. Obviously, for government to be good, the main influence on the government must be people who know what good is and does. Therefore, individuals, pastors, congregations can and should repent, and commit to God that they will stop fearing man and going with their feelings, and begin learning to fear God and love people. On a large scale, this would be a 5th “Great Awakening” in our culture, the heart of morality and the source of winning back good government. How welcome this would be! Knowing God and living out His goodness in our lives and our culture? It’s the ultimate Who and What! “Ironically, Christians who shun politics to supposedly advance the Gospel are actually allowing others to STOP the Gospel. How so? 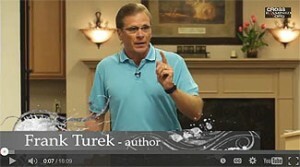 Because politics and law impact one’s ability to preach the Gospel.” — Frank Turek of CrossExamined.org.